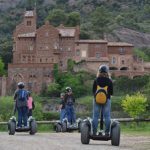 We propose a day to get lost for the fantastic Vall d’Horta, who hides many secrets to be discovered. The Vall d’Horta is located within the Park Natural de Sant Llorenç del Munt i l’Obac and is part of the municipality of Sant Llorenç Savall. 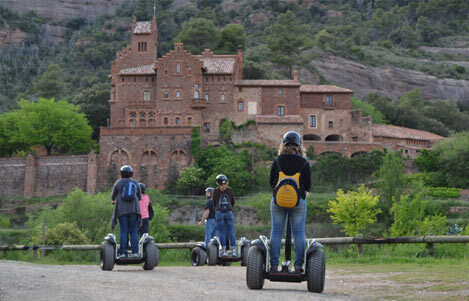 We suggest that you get into different ways: discovering the vineyards, walking, by Segway… you cannot miss it! The poet Joan Oliver, also known as Pere Quart, already told it: En ma terra del Vallès / tres turons fan una serra / quatre pins un bosc espès, / cinc quarteres massa terra. / “Com el Vallès no hi has res”. We invite you to discover this magnificent natural environment doing a walk up to the imposing building of the Marquet de les Roques, where the writer of the Vallès spent long periods of time. Would you walk out with a guide? If so, you can get in touch with the Rossinyol Nou and consult the thematic and guided walks that they offer to go in deep into the discovery of the surroundings. Activity with cost and prior booking. And if you do it by segway? An experience on two wheels, with car balance and powered with electricity! This is a different way to discover the fantastic views of the Valley with explanations of qualified guides. Fun and nature equally! Do not miss the opportunity to eat something in the restaurant El Racó de Can Brossa, located in one of the masias of the Vall or any of the other restaurants in the village of Sant Llorenç Savall, where you will find excellent proposals for all tastes. Once you have had lunch, you can go to La Muntada, one of the oldest masias of the Vall d’Horta, birthplace of the intrepid bandit Joan Muntada. 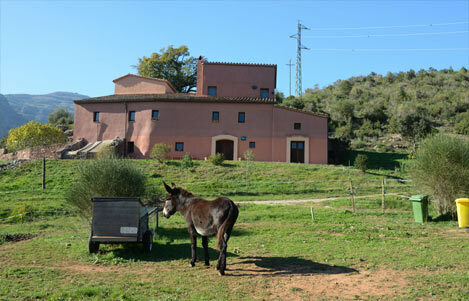 We suggest you make a visit or a workshop in the vineyards of La Muntada, where you will discover an interesting restoration project of the vineyard in the Vall d’Horta and you will taste the wines that are produced. To access to the Vall d’Horta you should take the track that goes a bit beyond the kilometric point 17 of the highway B-124, between Castellar del Vallès and Sant Llorenç Savall. From here you will have to follow the signs until you reach the place where you go.